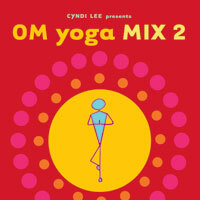 Cyndi Lee, founder of New York�s legendary OM yoga center, brings her eclectic tastes and offbeat perspective to yoga music with OM yoga Mix 2, a new collection of inspiring music perfect for everything from home practice to dinner parties. The CD debuts in May 2008. PKPR helped implement a comprehensive PR and marketing program to launch OM Yoga Mix 2 this May. Coverage so far has ranged from Shape, Fitness RX, Organic Spa, Healing Lifestyle & Spas, and Elephant to blogs like Yoga Buzz.. PKPR has also lined up promotions and giveaways this summer with Redbook, Complete Woman, Quick & Simple, Woman’s World, and WeightingLine.com.